When you’re arguably the most famous and highly decorated (and, it must be said, the smoothest with the ladies) starship captains in the history of Starfleet, you get into some stuff! But for Captain Kirk - James Tiberius "Jim" Kirk, if you’re nasty - being the commanding officer of the Constitution-class starships USS Enterprise and USS Enterprise-A and serving the United Federation of Planets interests as an explorer, soldier, time-traveler, and diplomat was just all part of the job. Sure, for a boy born in Riverside, Iowa, he probably never imagined that his exploits would become required reading for cadets studying Early Starfleet History in the 24th century, but if you asked him, he was just doing his job! And his job just so happened to entail the saving of the Pelosians from extinction (despite that being a violation of the Prime Directive), the saving of the Baezians and Chenari years earlier, and a record-setting number of first contacts. This record stood until the 2370s, when Captain Kathryn Janeway set a new record by being the first Federation captain in the previously unexplored Delta (yaaass queen!). But all of that might have never taken course without this Captain Kirk shirt! Once you have a little bit of Kirk's Starfleet style, you're sure to follow in his footsteps. 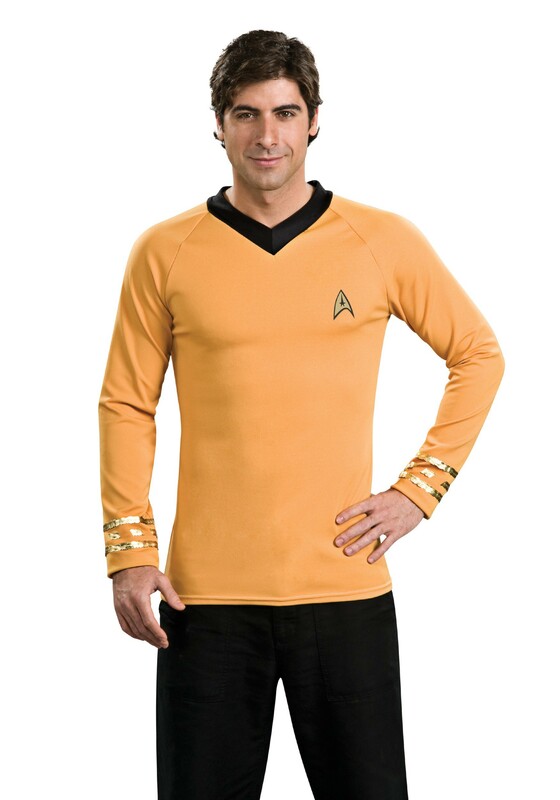 Complete a Star Trek costume look with this shirt and you'll be able to ready your journey!